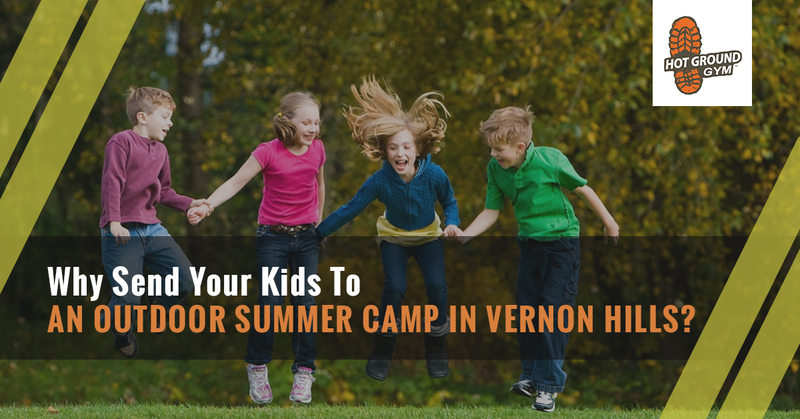 Why Send Your Kids To An Outdoor Summer Camp In Vernon Hills? Here at Hot Ground Gym, we’re all about exercising the entirety of the individual, and that means helping them not only become better at something physically but also helping them with skills that will last them a lifetime, mentally and socially. Many children are introduced to Hot Ground Gym via a kids’ birthday party, and some return for our Junior Boots program. But those relatively small segments of time can be expanded exponentially with the Hot Ground Gym 2017 Leadership Summer Camp! Look, there’s no doubt that going outside and getting some exercise is at the top of every parent’s list for their kids. And it makes sense, because the little exercise many of them were getting — namely gym class and recess — ended with the school year. While some kids will fill their days with bike riding, too many are allowed to lounge on the couch with a glowing screen. Our summer camp for kids makes sure that they’ll get the exercise that summer often steals from them. You’ve heard statistics about how air quality indoors is so much worse than outdoor air, but you probably picked those up from companies trying to sell you duct cleaning service! But there’s actually quite a bit of scientific validity to the claim, as the EPA notes “In the last several years, a growing body of scientific evidence has indicated that the air within homes and other buildings can be more seriously polluted than the outdoor air in even the largest and most industrialized cities.” And with most people spending only 10% of their time outdoors, they’re inhaling that worse air for much longer periods. While there are many summer camps across the country, too many of them are moving indoors. Our Leadership Summer Camp program is based outdoors so that kids can get the fresh air that they’re missing. Sure, kids stay social via electronics during the summer, but there’s nothing that can compare with face-to-face interaction. Plus, actually interacting with other kids helps them make new friends that they might not have met otherwise. That means that kids from all over the Chicago suburbs can come together to meet and get along. We’re proud to say that our day camp in Vernon Hills will also include other duties that will encourage kids to expand their skill pool, such as cooking meals and cleaning up afterward. Our intention is always to return your child at the end of the day a better person! There’s no doubt that electronics have their place in the world. We have cell phones, we use computers. But kids are being inundated with them, and some of them have a hard time pulling away from the screens. Our kids’ summer camp gets them away from the electronics and encourages the exercise that we mentioned above. When you reduce the electronics in use and introduce mind-exercising missions that kids have to work through, they’ll get the most out of their summer mentally as well as physically. When it comes to summer camp programs in Vernon Hills and the surrounding area, it’s hard to beat the great time your kids will have at Hot Ground Gym. We’ve designed it with the goal of raising kids up in every aspect of their lives. Check out the brochure right here!